Lily, Boris and Jack are back! The three friends are together again in this newest addition to the Mischief Series. A natural disaster has taken the elders by surprise, and the scientists are unprepared. Damage to the colony is inevitable! Can the Master Engineers devise a plan to save the colony before they lose their home? The fairies' Kick-a-Berry Match has been postponed as well, and the fairies must find new ways to entertain themselves until the pitch dries up. Along the way, they make a new friend named Pearle, and though she cannot walk, she can fly with ease. Valuable lessons about friendship, teamwork and perseverance will be learned as the fairies embark on their newest adventure..
What an endearing story! It is fun for all ages and a delightful book to read aloud, as well! Don't miss the opportunity to share it with your children and grandchildren! The characters come alive and appeal to that child-like nature in all of us. A real treasure from a bright young author! 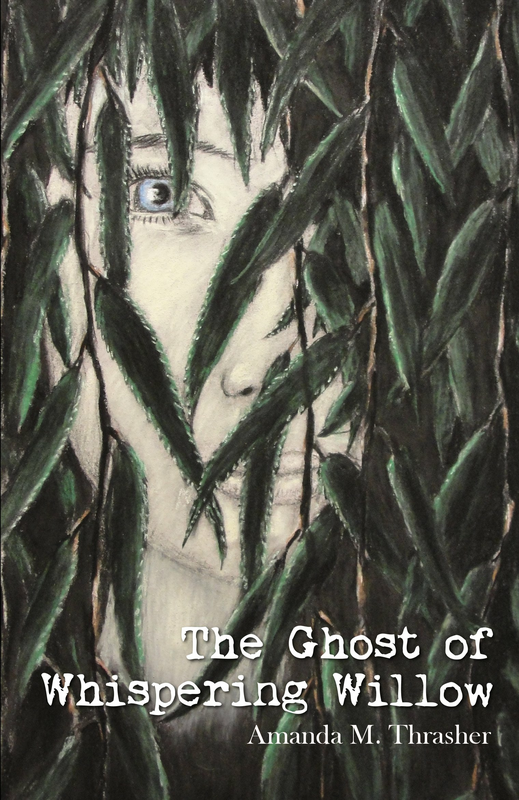 Having read Amanda Thrasher's first book in the Mushroom Patch series, I didn't think perfection could be made better. Yet in A Fairy Match in the Mushroom Patch we meet beautiful Pearle. Watch how Lily, Boris, Jack, Ivy, Rose and Pearle learn to work as a team. During what could have been a loss of their homes they pull together doing as much as young fairies can do to help their elders to save the Mushroom Patch from certain destruction. In this charming, whimsical, fun filled book Amanda Thrasher has made a true home run. Even as an adult I loved this book and I highly recommend it to a parent or grandparent to read to their little ones or an adult to recapture the meaning of what a glorious thing it is to allow the young ones be a part of the solution. 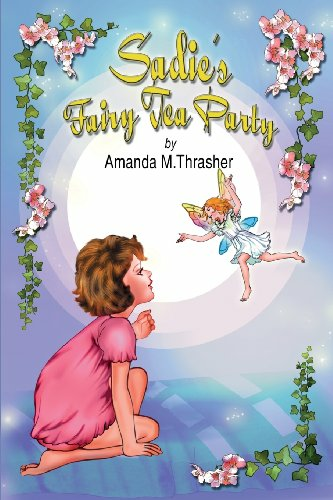 "A Fairy Match in the Mushroom Patch" by Amanda M. Thrasher is a wonderful sequel to her earlier book, "Mischief in the Mushroom Patch". Lilly, Boris and Jack have matured a bit, and have found a new friend, Pearle, who steals our hearts as she gives rides to her friends on her chariot wheelchair. This delightful story combines wonderful life-lessons of working together, helping each other, and playing together as the fairies go to their "class-schrooms", share "fairy-cress sandwiches", play "find a fairy", go "leaf rafting", act out "fairy-shrades" and ultimately learn the values of friendship and teamwork in their "fairy kick a berry"match! What a great way to entertain children, while stretching their imaginations. I hope we see more of these darling fairlings! 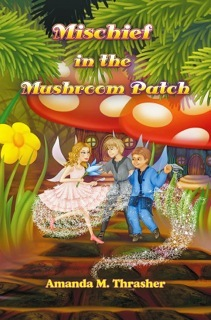 Those mischevious fairies are back in Amanda M. Thrasher's second installment of her Mushroom Patch series. In A Fairy Match in the Mushroom Patch, Lilly and Boris These adorable characters learn what it means to be a team and the importance of being a team player.